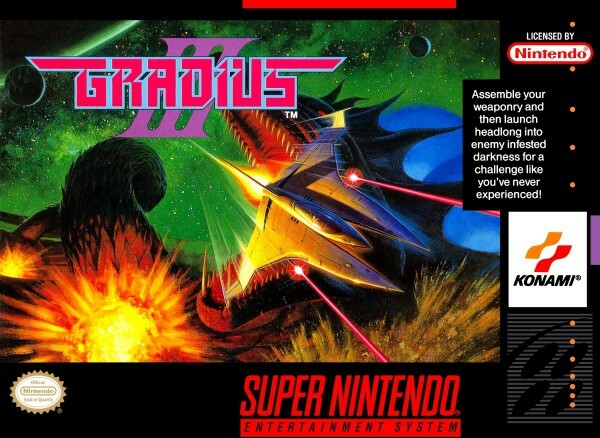 Originally released in the arcade on December 11, 1989, Gradius III served as one of the launch titles for the Super Nintendo in North America circa August 1991. 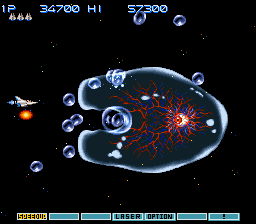 I’ve always had a fondness for the classic space shooter, or SHMUP as it’s come to be known. 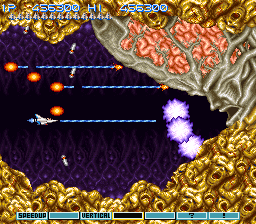 In my view, the SHMUP is one of the purest genres. 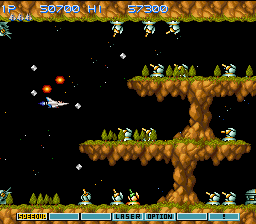 I’d put it right up there with platformers and beat ‘em ups. 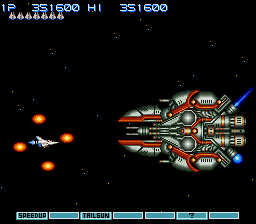 There’s something simple yet beautiful and exquisite about being a one man army defending the galaxy against a horde of enemy ships and giant nasty bosses. 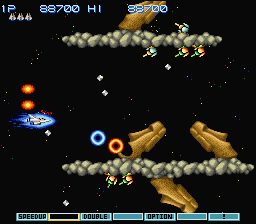 It just takes me back to my childhood and a great era in gaming where classic side scrolling shooters ruled the day. 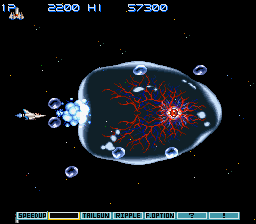 Gradius III does well to recreate those memories and conjures the feels of those halcyon days. Introduction was simple and brief, but got you pumped up to save the universe. 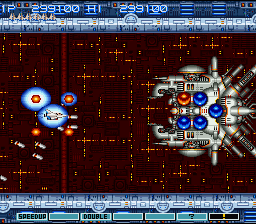 Unfortunately, that 2 player option isn’t co-op. But on the bright side, you’re given some options [I C WAT U DID DERE -Ed.] with regards to your power-up system. 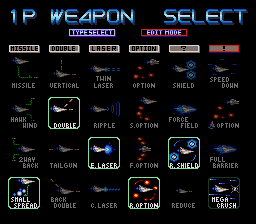 I love it when games give you options; it’s always fun to tinker around with and find out what suits you best. 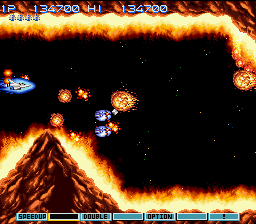 Ahhhh, that classic first stage and those early opening moments. 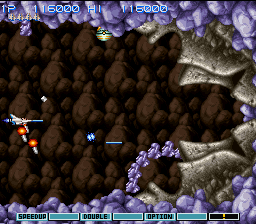 Combined with that impeccable music, it’s ultra nostalgic and never fails to bring a smile to my face. 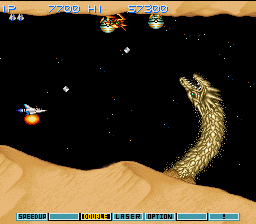 My mind was blown the first time I saw the massive dragon flying out of the sand. 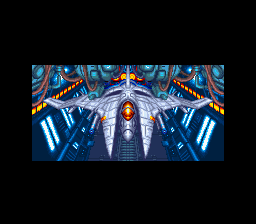 Speaking of unforgettable and memorable, how about seeing that humongous boss at the end of stage one for the very first time? 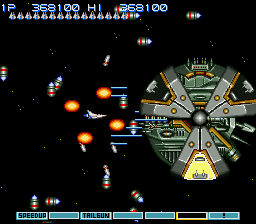 As I’ve stated before many times, no one could do bosses like Konami back in the day. Stage two opens up with bubbles galore. I’ll never forget the first time I popped the bigger ones, splitting them into smaller bubbles. Yet another mind-blowing moment for its time. Konami does it again. Not only did their bosses have the best design, but the level of detail that went into each one truly made the bosses feel alive and real. 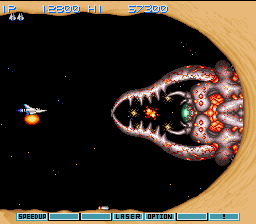 Breaking down its defenses and shooting at its giant eye always struck a chord with my imagination. 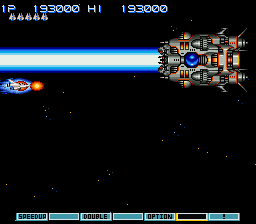 The boss fights in Gradius III are so much fun. 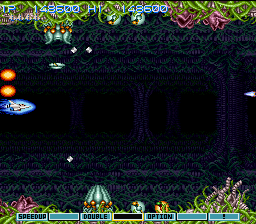 Halfway through this stage, the music shifts from an upbeat tune to one far more dramatic and foreboding. It was a cool effect. 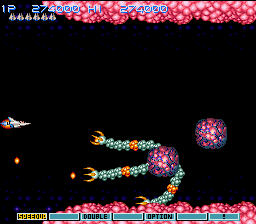 The boss can be pretty tough and blowing it up felt oh so satisfying. Easter Island heads (AKA Moai) litter the playing field. Things can get messy and heated fast if you don’t respond in a timely matter. 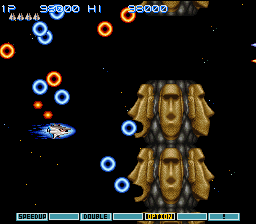 Appropriately so, the boss of this level is the mother of all Easter Island heads. 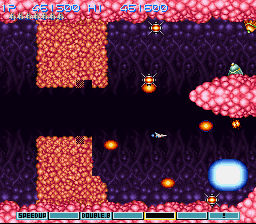 Navigate your way through this fiendish, fiery hell. 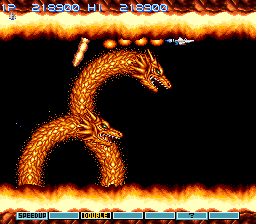 For your troubles, you’re greeted by a pair of fire dragons at level’s end. Lucky you. 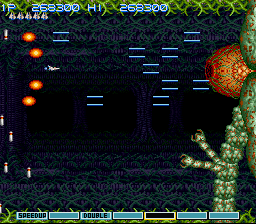 Things begin venturing into the downright bizarre as you transition from the reaches of outer space to this dangerous plant world. 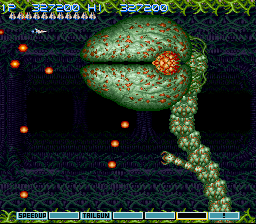 A massive nightmare of a creature guards this stage, and it moves in a very unsettling way. 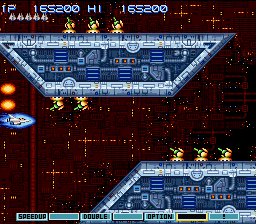 Despite the slowdown, this blew my mind as a kid back in the early ’90s. 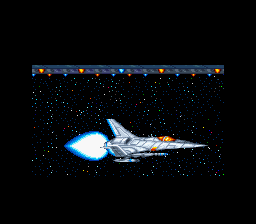 Action really picks up speed here as the screen scrolls faster than normal. You’ll have to work your way through tight corners and narrow spaces. 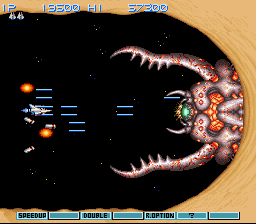 Gauntlet time — you’ll face off with FIVE bosses! 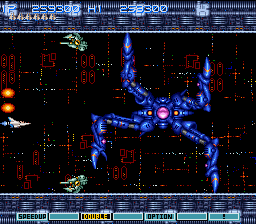 Konami couldn’t decide on which one boss to keep for this level so they said screw it, let’s throw all six at the player. My theory, anyhow. BOSSES R US! 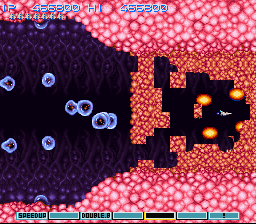 Say hello to boss number four and five of this stage. 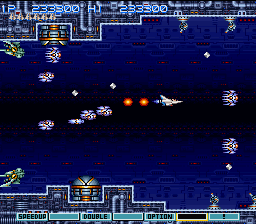 Infiltrate the enemy base and rage against the machine. 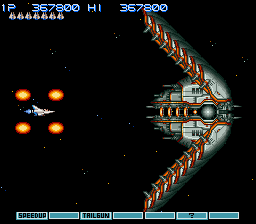 Nothing says SHMUP like a good old screen filling boss accompanied by some dramatic, epic sounding music. 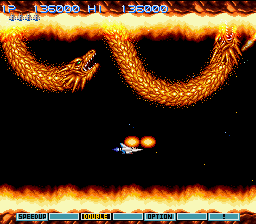 Brings back memories of Life Force (AKA Salamander), eh? Blowing through the field in these type of games never gets old. At last we come to the end boss, and what a sight for sore eyes he is. 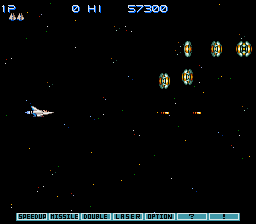 Vintage Konami. No one did bosses like they did. 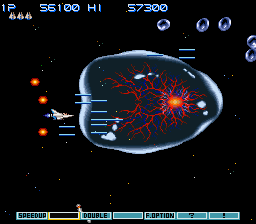 The Gradius series is known for its options (helpers) but Gradius III also excels in offering the player a plethora of options. 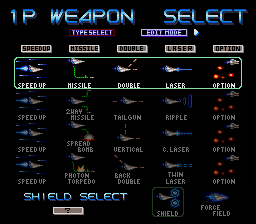 Not only are you given a choice of which weapon lineup you wish to use but the game even allows you to fully customize your choices. You can form your dream team so to speak and mix and match to your heart’s content. 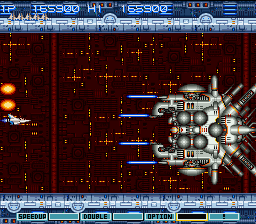 Gradius III on the SNES has a mostly favorable reputation, but is mainly criticized for its (immense) bouts of slowdown. 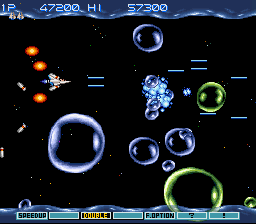 Although to be fair, the 1989 arcade had its share of slowdown as well. 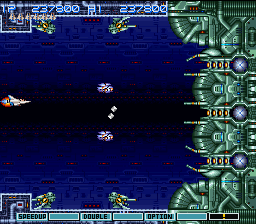 I didn’t mind the slowdown so much as it actually helps more than it hinders. Slowdown is just more forgivable when that’s the case. 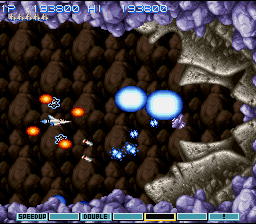 EGM gave it scores of 8, 8, 8 and 8. 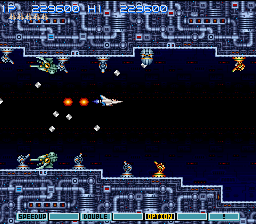 Super Play rated it 82%. 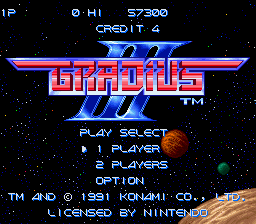 Being a launch title in North America, Gradius III is one of the more nostalgic games in the SNES catalog for many folks, myself included. We’ll never forget sights like this! 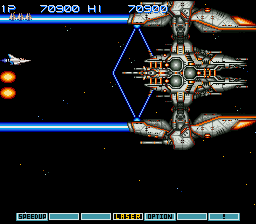 There’s a reason why so many folks hold Gradius III in high regard. 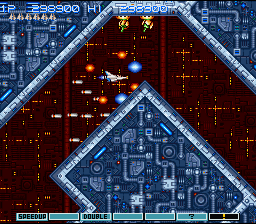 While it’s certainly not the best playing shooter on the Super Nintendo, there’s an undeniable charm to it that has left a lasting impression on those who initially played it back in 1991. 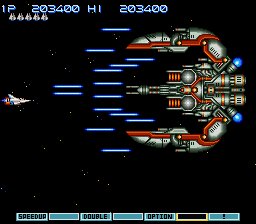 The graphics were amazing for its time but it was the stellar soundtrack that completed the package, ensuring that Gradius III would always have a special place in our gaming hearts. Even to this day, I can still hear the tunes playing in my head. 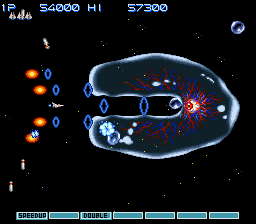 Whenever I think of classic space shooters, Gradius III always immediately comes to mind. 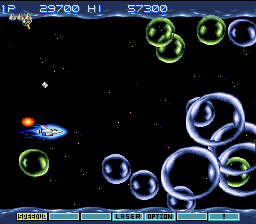 It’s a game I find myself revisiting rather frequently throughout the years and one that never fails to make me smile. 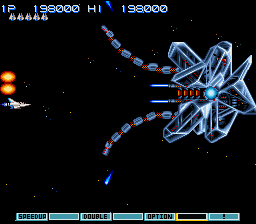 LONG LIVE GRADIUS III, BAY BAY! !